Furniture is a huge investment, and we don't always have the budget for our dream piece of furniture. 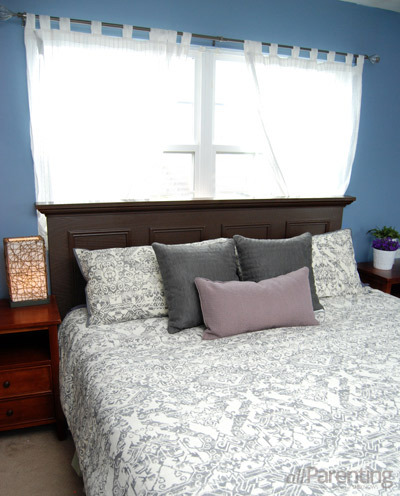 With a few items from the hardware store, you can skip the expense and whip up your very own DIY headboard! Start by measuring the length of the door (mine was 80-inches long) and cut the crown molding to that length. 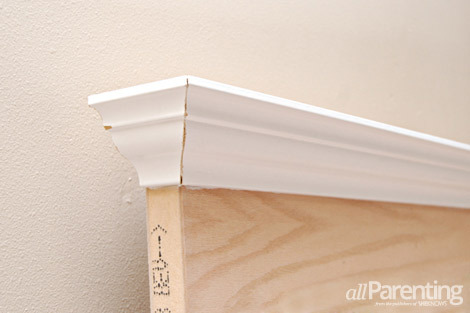 You will want to cut the crown molding at a 45-degree angle. If you aren't comfortable cutting the molding yourself (I wasn't), most hardware stores will cut it for you. 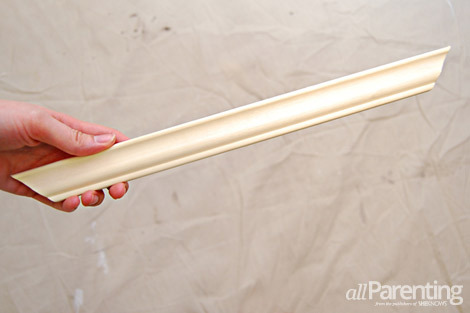 Run a bead of paneling adhesive along the back of the crown molding. Adhere the crown molding along the length of the door. Be sure to use your level to make sure that it is straight. 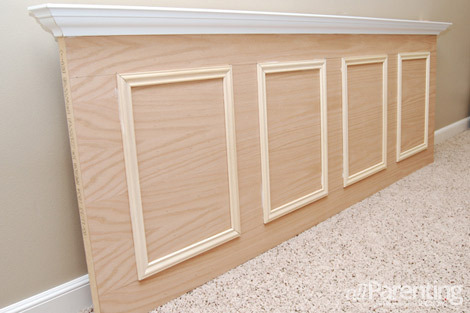 Measure the thickness of the door and cut two smaller pieces of crown molding to go along the sides of the headboard. 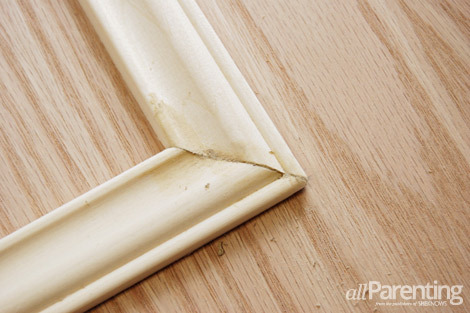 Glue the side pieces in place with the paneling adhesive. 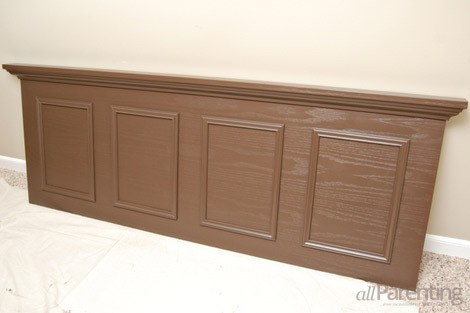 Try to match up the pattern on the crown molding as much as possible, but don't worry if it's not exact. Any gaps will be filled with wood filler later. 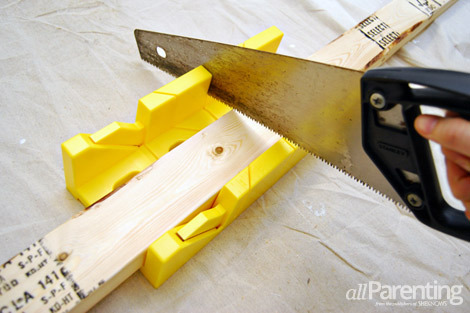 Cut the trim pieces so that the edges have a 45-degree angle. You will need eight short pieces and eight long pieces to form the rectangles. I cut mine so that they were 15-inch and 20-inch pieces, respectively. 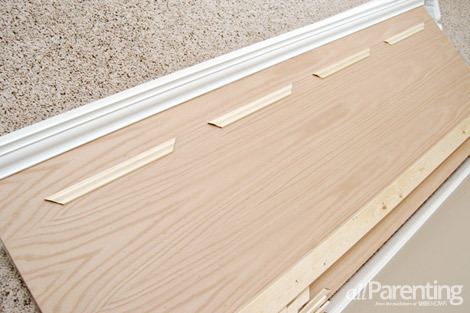 Place four of the short pieces of trim so that they are evenly spaced across the headboard, and then glue them into place. 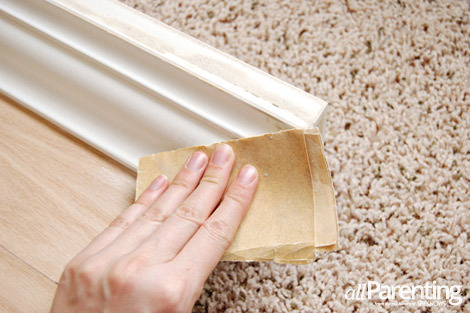 Using the first pieces of trim as your guide, add in the other three trim pieces to each rectangle. Make sure that the angled corners line up for each one. Next, measure the crown molding at its widest point. 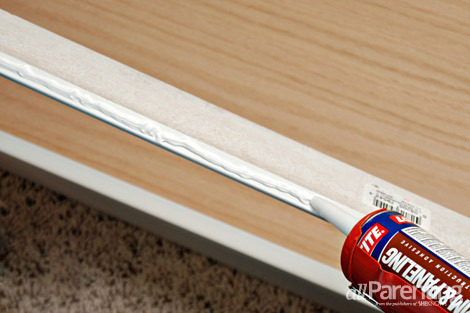 Cut the 1 x 4-inch board down to that length, and then use paneling adhesive to adhere it to the top of the crown molding. 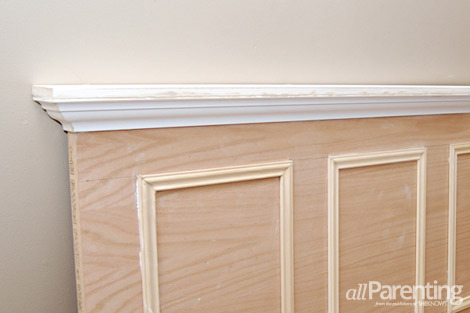 Use wood filler to fill in any gaps along the trim or the crown molding. 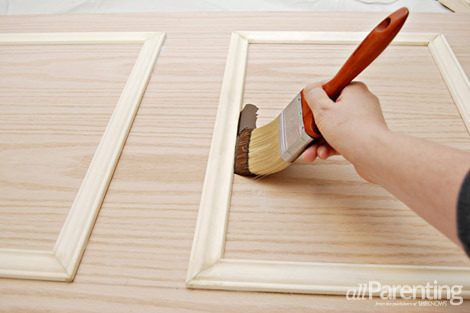 Once the wood filler has dried, sand away any bumps or uneven spots. Now you are ready to start painting the headboard! Use a wide brush and start painting the inside panels. 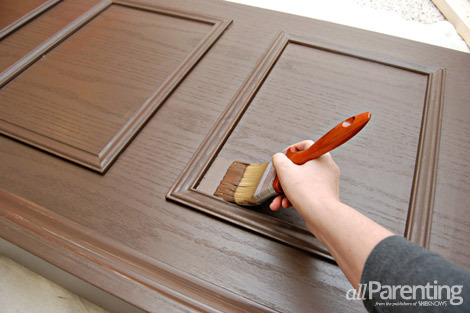 Once the inside of each panel has been painted, go over it once again with your brush in the direction of the wood grain. Next, paint the trim pieces followed by the rest of the headboard. Once again, brush over everything in the direction of the wood grain. Let the first coat dry completely, and then add a second coat of paint. Set the headboard aside and let it dry overnight. 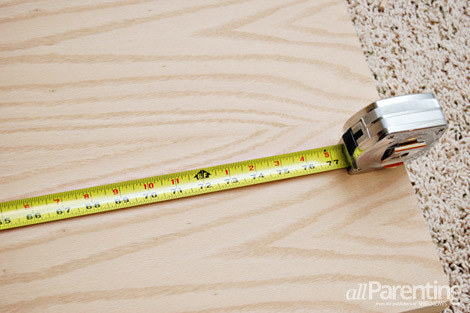 Cut the 2 x 4-inch piece into two 4-foot lengths. 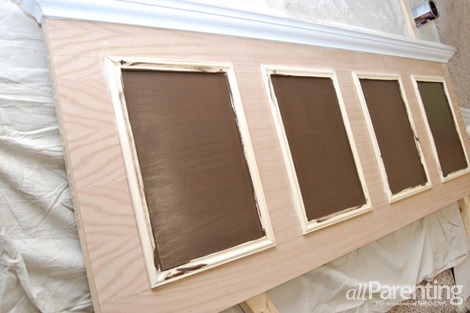 Once the paint is completely dry, turn the headboard over so that it is face down. Screw the 2 x 4 boards into the back of the headboard on each side to form the legs. Move the boards up or down on the back of the headboard until they are at the appropriate height for your bed before screwing them into place. 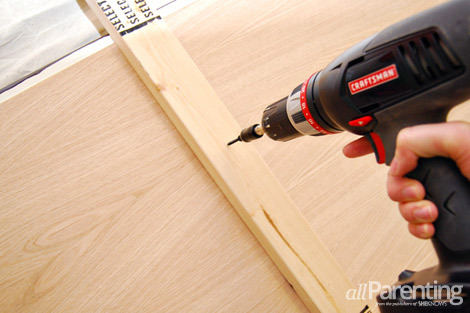 Use at least two screws per leg, and be careful that the screws are not so long that they will go through the front of the headboard when you drill them in place. After the legs are attached, your headboard is ready to use!